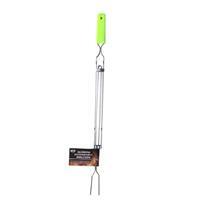 Great for grilling or campfires, these forks are the perfect addition. Safely cook your food without getting too close to flames. Added safety with our glow-in-the-dark handle. Extendable handle. 12/inner and 24/case. 3.94" x 24.41" x 5.51"